After destroying 30k private sector jobs in the forest sector because of ill thought out reforms, they needed a new horse to bet on. It is fair to question the impact on ground water, and the govt is right to demand a high level of oversight. The chemicals used in the fracking process are concerning and the public has a right to know what's being injected deep into the soil. 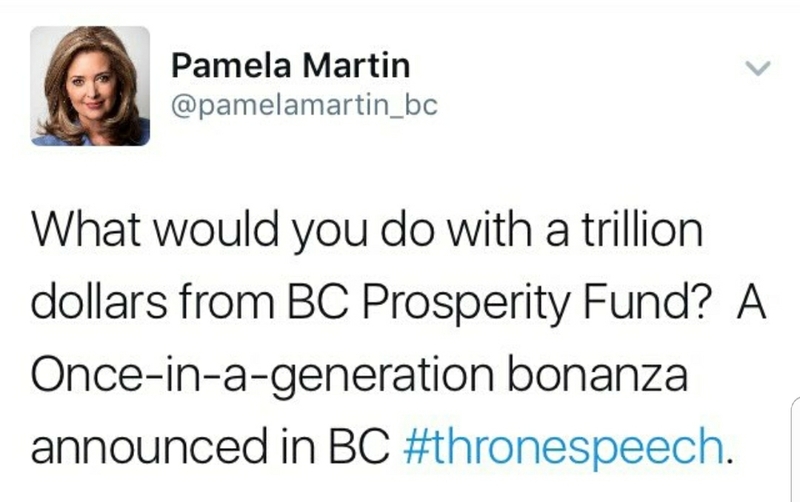 Those transparency measures were left wanting by the BC Liberals. Their best solution was industry controlled oversight and enforcement regime. 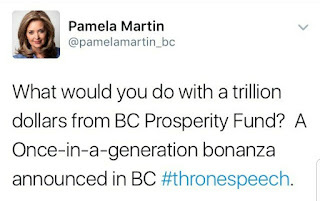 All we need to do is look at what an outsourced, self-governing model did for the real estate market in BC to know this is a bad idea. Natural gas, like forestry, are a BC natural resource. We can give it a chance with robust oversight and enforcement of safety/environmental protection rules. And, as #GreeNDP partner, Andrew Weaver once said: "I'm sure there will be idealists who will be very upset, but you don't move society forward by only saying no to everything."